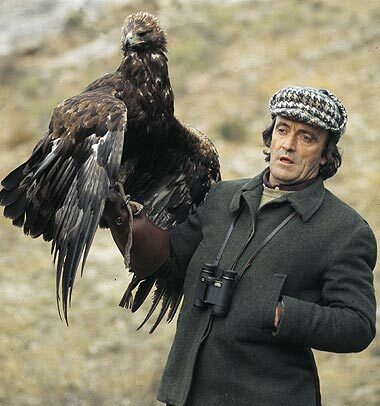 He was an expert in falconry and animal behavior and spent many years studying wolves, but above all he was a great communicator who captivated Spain in the 1970’s, doing more than anybody to promote natural history among the general public. He is best known for the highly successful and influential series El Hombre y la Tierra (1975–1980), which you can watch online here. Millions of homes in Spain were captivated by the series, and there are possibly apocryphal tales of the streets being empty when the episodes were broadcast. The series and his other work played no small part in the change in attitude towards wildlife in general and wolves in particular. Rodríquez de la Fuente used wolves he had raised himself from cubs living in a semi-wild fenced estate for the film. They were different times with inferior cameras than today. But, for all its trickery, the episode on el lobo still stand out as superb and beautiful piece of nature documentary and holds a rightful place in contemporary Spanish folk memory. And his work inspired a whole generation of young Spanish naturalists who work in nature conservation today. A certain degree of hagiography surrounds his figure (there are more 60 monuments to him in Spain including schools, plaques, parks and streets). The legacy of his work is continued with the Fundación Félix Rodríguez . The symbol of Madrid represented by the bear and the strawberry tree is well known, but here’s a much earlier image showing Iberian bears liking for these arbutus cherries. 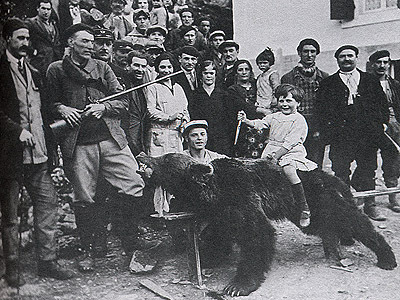 The bear forms part of a C4th AD mosaic found at Villa Fortunatus in Fraga, Zaragoza, and is part of an agricultural calendar, representing the month of November. It can be seen at the Museo Provincial de Zaragoza. Sadly today, bears in Spain no longer gorge on these fruits in autumn to the extent as they did as they are largely absent from the range of the strawberry tree. 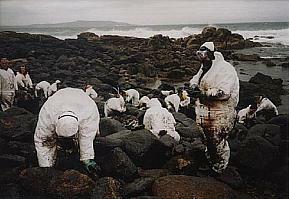 This article from the latest Environment and History makes fascinating reading.